A country of magnificent vistas and awe-inspiring beauty. A place that feeds the soul and fills the heart with an intoxicating sense of wonder. 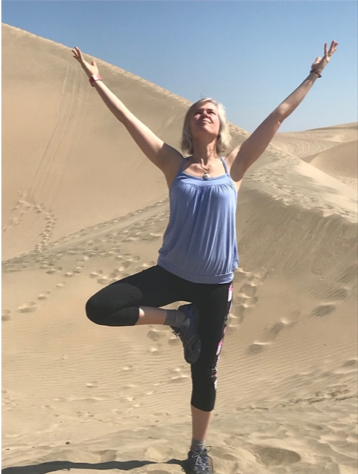 Come on the Divine Destination Collection journey that will touch your senses in so many ways that you’ll leave forever changed. 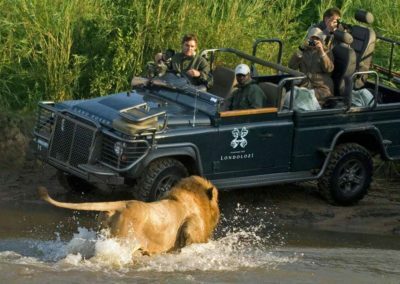 Home to the origins of ancient man as well as breathtaking big game animal viewing, South Africa is truly vibrant in nature. 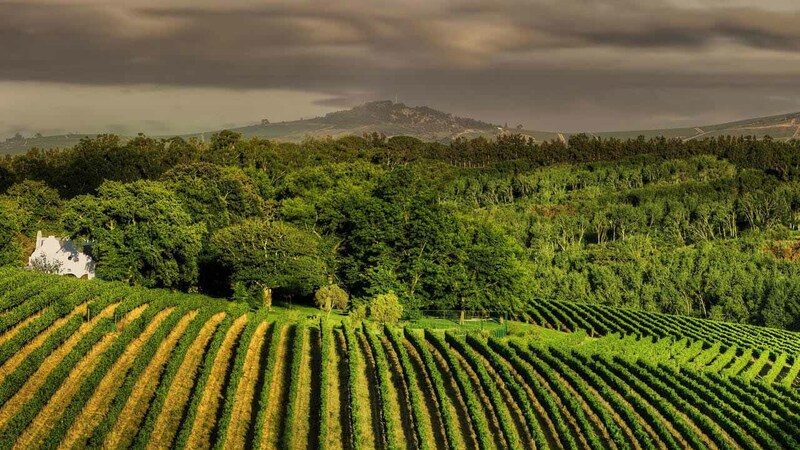 Experience the incredible diversity of the land – from the natural splendour of Cape Town to the wineries in Stellenbosch or a Big Five safari next to Kruger National Park. For discerning travellers who want to experience life to its fullest, there is no better way to see South Africa than with The Divine Destination Collection. Here, just beneath the surface, it is easy to find the real thing, to discover new meaning, to see more, to live more and to come away a richer, more diverse human being. Wonderful experience and a great group of travelling companions. There was nothing left to chance! Everything was exceptionally organized. Loved the continuous variety of adventures every day and made many new friends. A great trip! Wonderfully planned and executed. Loved this experience, especially my fellow travellers, the variety of amazing activities and by far the safari experience at Londolozi… WOW! LOVED this trip!! Attention to detail Amazing! Overwhelming and Magical! I have done a lot of travel, but this experience was over the top. Every detail special. I highly recommend The Divine Destination Collection and hope you have a growing and successful career. I particularly enjoyed all the wonderful surprises that you included throughout the entire trip. Your team did a great job making this an outstanding once-in-a-lifetime trip. Each destination chosen (Cape Town, Londolozi and Victoria Falls) gave me a great overview of Africa. So appreciated having everything taken care of from pick up at the airport in Cape Town to visas in Zimbabwe. Effortless. The attention to detail in every aspect of the trip was outstanding. The flow of the trip was perfect beginning with Cape Town, Londolozi and finishing up in Victoria Falls. An unbelievable experience, especially the safari! We will definitely be travelling with you again. 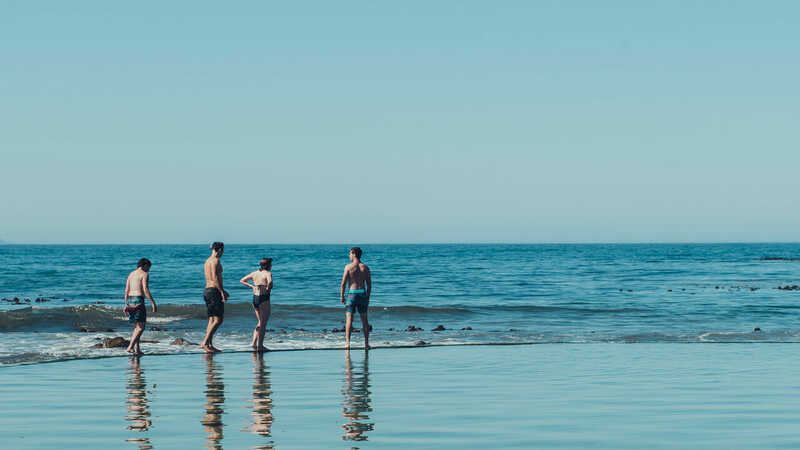 Embrace the gracious Table Bay Hotel in the heart of Cape Town’s bustling waterfront, with stunning views across the harbour and majestic Table Mountain. 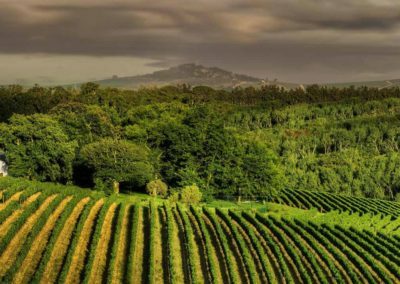 Depart via a vintage automobile for private wine tastings at renowned vineyard estates, stopping at charming villages to browse quaint shops, peruse art galleries and nibble on decadent chocolate. Enjoy a magical journey in the home of a local jazz musician, where you’ll be feted to a traditional dinner with a concert weaved in between courses. Paddle with the Penguins and enjoy an up close & personal experience to see these playful animals from a two-person kayak. 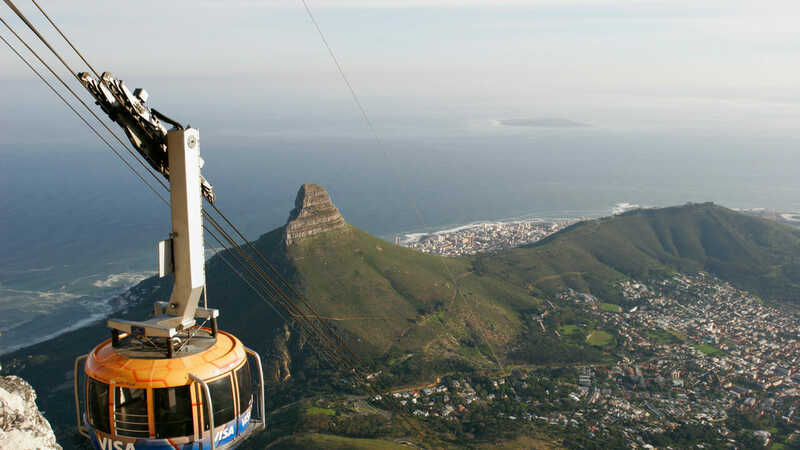 Take the “Flying Dutchman Funicular” to old Cape Point lighthouse, overlooking the breathtaking cliffs where the Atlantic and Indian Oceans literally collide. Open your mind to an exclusive escorted trip into Langa Township to discover the culture, hierarchy and rich heritage of this part of the city. Pamper yourself at Varty Camp, exclusively for Divine Destination Collection guests. Londolozi was the first reserve to be accorded Relais & Châteaux status for luxurious accommodations, fine cuisine and exceptional service. 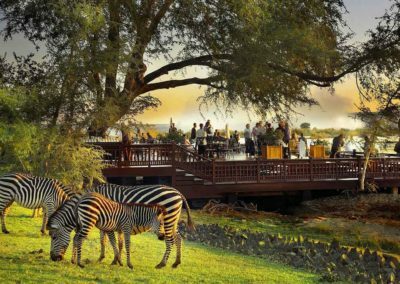 With the African bush as a backdrop, join us on the Varty deck for a cocktail reception before our “Princess Alice” themed dinner, where you’ll celebrate the story of the princess who partook in a famous hunt in the 30s. 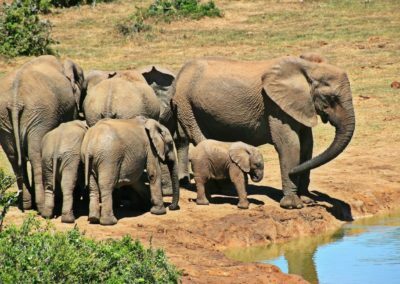 Depart into the bush for twice-daily game drives, where our rangers will share their love for animals and introduce you to the “Big Five” (elephant, lion, leopard, rhino, buffalo) in their natural habitat. 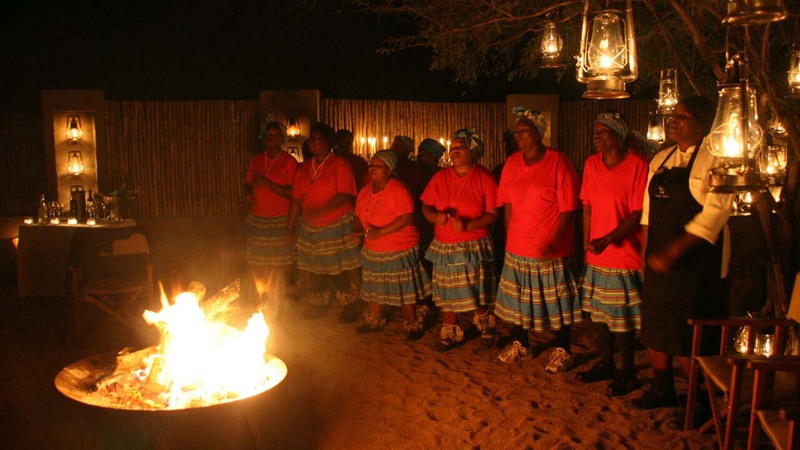 Under the African stars, enjoy a private Boma dinner hosted by a member of the Varty family, where you will be entertained by a traditional African ladies choir. 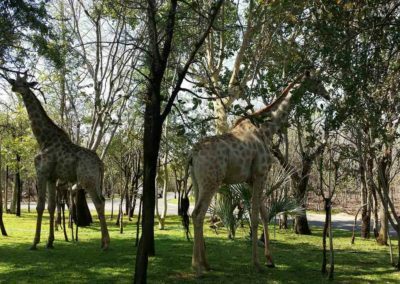 Stay at the luxurious and iconic Royal Livingstone Hotel located on the banks of the mighty Zambezi River with the plume of Victoria Falls in the foreground, and be greeted by zebra, giraffe and impala grazing in the lush gardens. Experience a unique encounter with orphaned & rescued elephants during our exclusive elephant interaction. 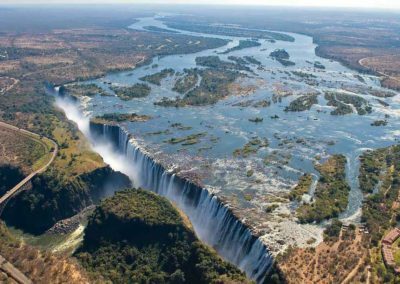 Guided by a local historian, enjoy a private walking tour of the majestic Victoria Falls, or “The Smoke That Thunders”, from the Zimbabwe side. In a private rendezvous arranged by Divine, visit a local Mukuni Village and meet the local Chief. 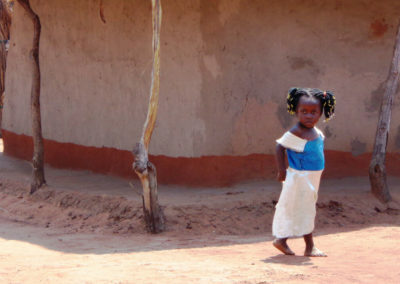 Here, you will see and understand how people live, work and play in a local African Village. 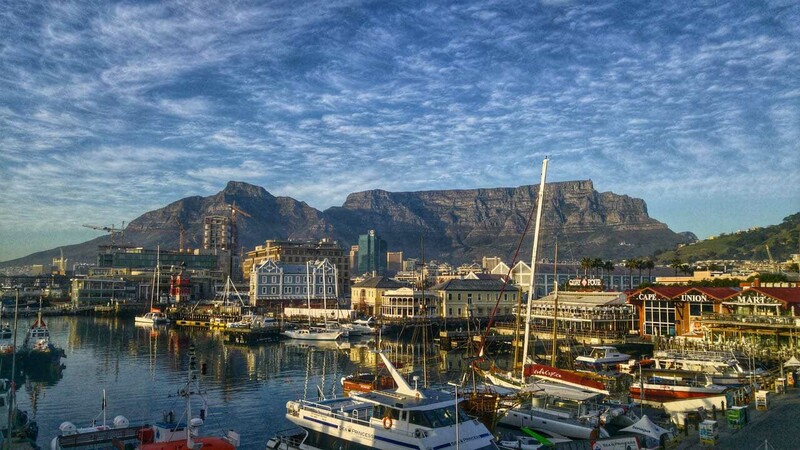 Embrace the gracious Table Bay Hotel, in the heart of Cape Town’s bustling Victoria & Alfred Waterfront. 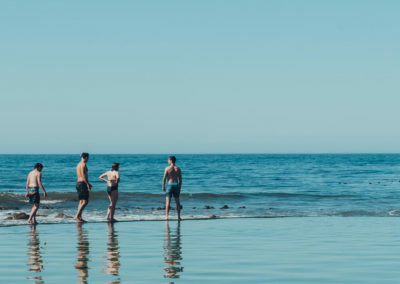 The hotel combines Victorian elegance with contemporary charm, while the rooms and suites enjoy stunning views of Robben Island and magnificent Table Mountain. Exemplary service, sophisticated ambience, attention to detail, fine à la carte dining paired with a splendid wine list are all savoured in an atmosphere that recalls the era of the great cruise liners and the grand hotels which served them. Awaiting you is a mahogany pool deck with comfortable chaise lounges that stretch lazily above the ocean. 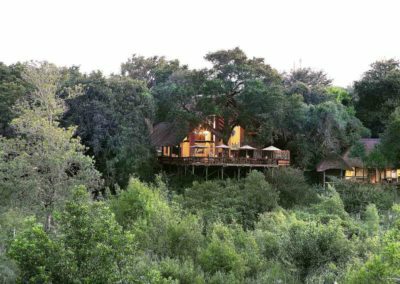 Londolozi is one of the original pioneering private game reserves of the ecotourism industry in South Africa, and an unashamedly family-run, stand-alone operation. Londolozi is the Zulu word for “protector of all living things” – an ambitious conservation ethic that Londolozi embraces in its sensitivity to the natural world. The reserve is internationally recognised for its far-sighted and progressive management of land and wildlife rehabilitation, as well as productive community involvement. Londolozi was the first game reserve in the world to be accorded Relais & Châteaux status, reinforcing its commitment to luxurious accommodation, fine cuisine and exceptional service. 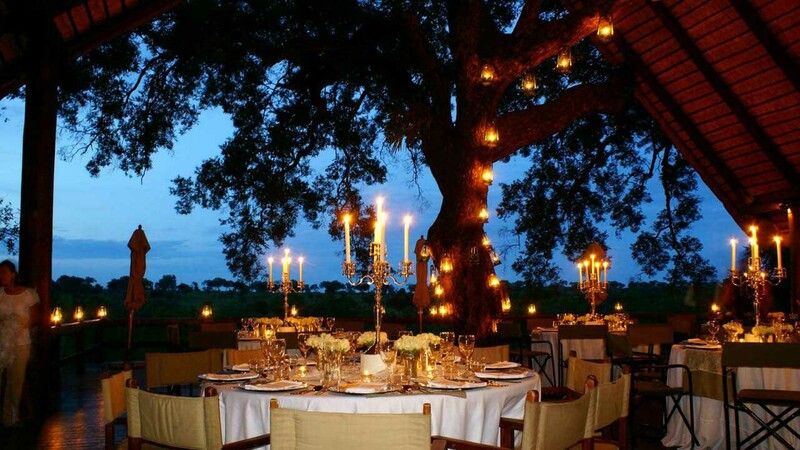 It is situated on the Sand River in the very heart of the Sabi Sands Game Reserve. 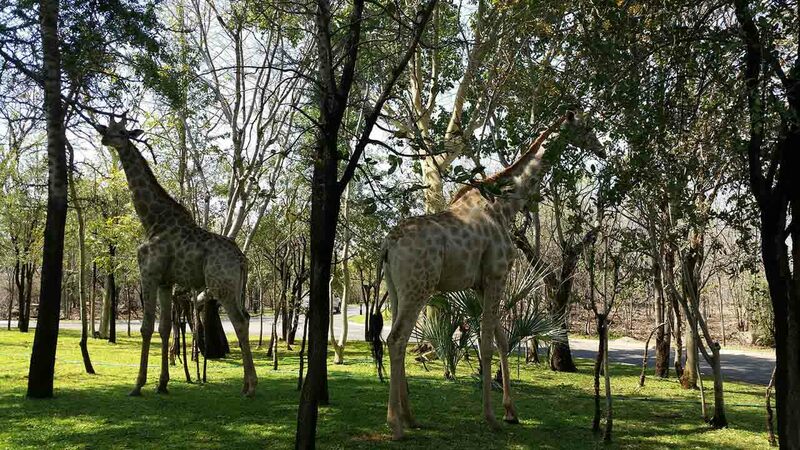 The reserve, in turn, forms part of the Great Limpopo Transfrontier Park, a vast and growing area, currently covering 6 million acres and incorporating the famous Kruger National Park. 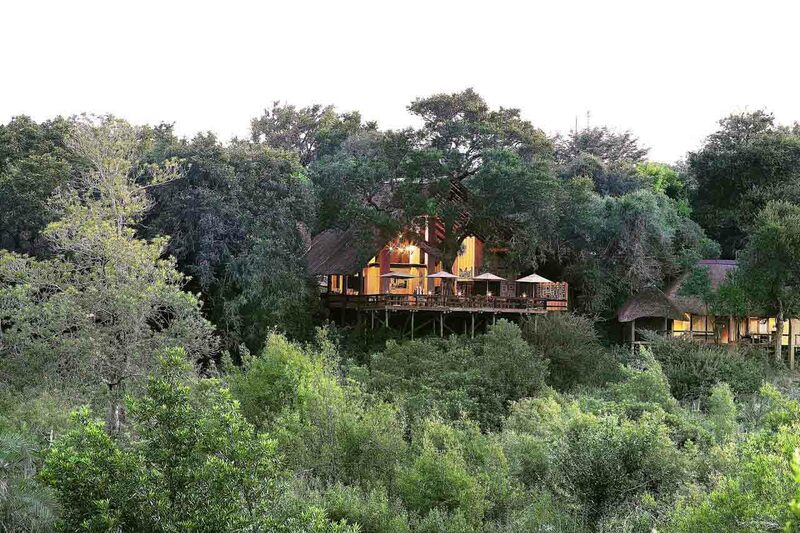 This rich, wild wonderland assures exceptional game drives and a true wilderness experience. 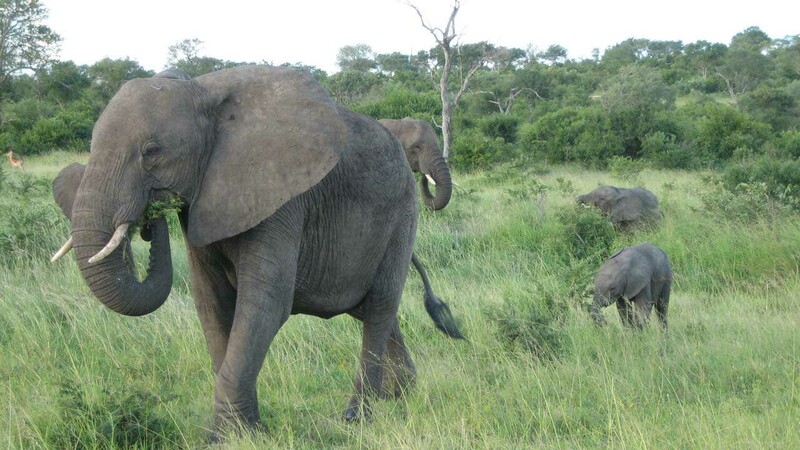 Breeding herds of elephant and buffalo roam throughout the Londolozi area, while white rhino and lion concentrations are amongst the highest recorded on the African continent. Located on the verge of the mighty Victoria Falls, the exquisite and unique style of the Royal Livingstone Hotel evokes a colonial air from bygone days. 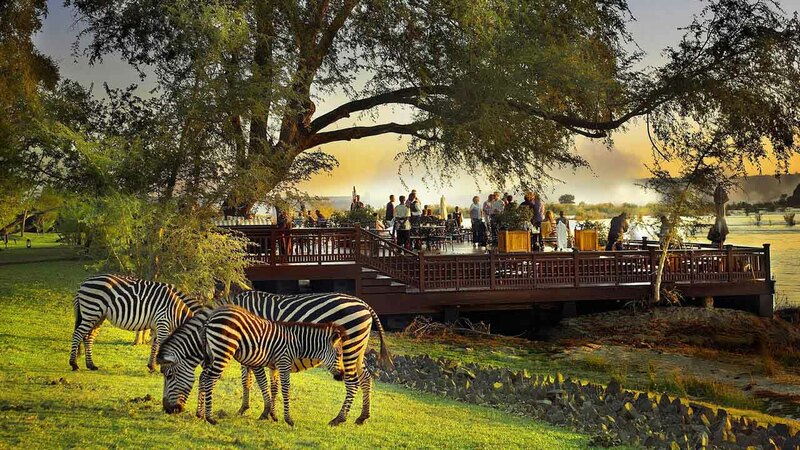 The spectacular scenery includes a view of zebra, giraffe and impala grazing in the lush gardens, an inviting Victorian styled swimming pool overlooking the Zambezi River and a sundeck located on the river banks, perfect for sipping sundowners in a romantic setting. Each room has a private veranda overlooking the storied river. Unwind in the spa, enjoy a romantic dinner under the stars, dine on superb meals, relax in the bar lounge – say yes to all – between experiencing The Divine Destination Collection of adventures we’ve created to uniquely reveal Victoria Falls and the Zambezi River. 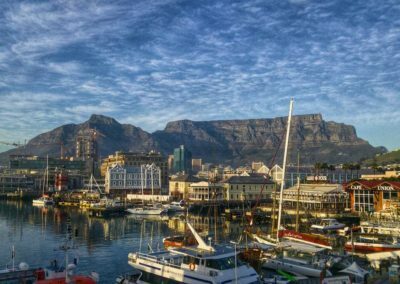 DAY 1:Upon arrival in Cape Town you will be met and escorted via private transfer to the luxurious and majestic Table Bay Hotel. A private casual cocktail reception is held in hotel’s luxurious Table Mountain Presidential Suite with hot and cold hors d’oeuvres and gives you the opportunity to mix and mingle before heading to your room. DAY 2:Breakfast is included and at leisure in the hotel’s Atlantic restaurant.Today it is off to Cape Point, where the Atlantic and Indian Oceans collide…we also have a few surprises along the way. Next, it’s along to Boulders Beach to delight in the opportunity to Paddle with the Penguins, an up-close and personal experience to see these playful.Tonight a private cocktail reception with hors d’oeuvres, which would be incomplete without an interesting Divine surprise. This city is too cosmopolitan and rich in culinary experience for us to plan your dinner, so we have included a cash allowance for you to dine at the restaurant of your choice. DAY 3:Breakfast is included and at leisure in the hotel’s Atlantic restaurant. 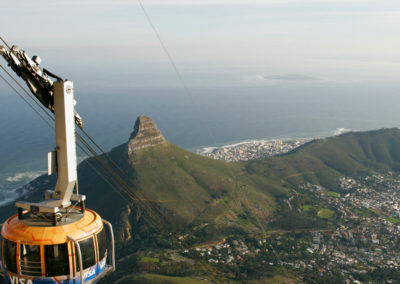 We start the day with a visit to Table Mountain to take in the view of the city. Next off to the Cape Winelands, and from here, a selection of classic vintage cars will pick us up and take us to a variety of beautiful local wine estates to sample a few of their award-winning vintages.You have the afternoon at leisure in Cape Town…take time for shopping or exploring the Victoria & Alfred Waterfront.Tonight we’ll travel deep inside the jazz music of the city by visiting a local jazz musician at home for dinner and a concert. Dinner is a local traditional spread, with a small starter on arrival, dinner and dessert. DAY 4:Breakfast is included and at leisure in the hotel’s Atlantic restaurant. This morning the journey into the bush begins with a private transfer to the airport and flight to Skukuza Airport. The sense of Safari commences immediately as you are picked up and transferred to Londolozi through the game reserve.We will stay at Varty Camp, where we have exclusive use of this venue. Your continental breakfast, pre-game drive, full breakfast, afternoon tea and dinner are included daily. In addition, all beverages including alcoholic, are available on a complimentary basis. 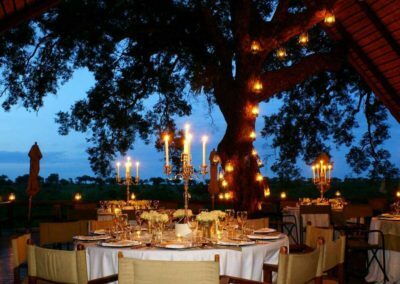 Activities are also included, and each day will present two game drives through the reserve.Tonight a private Boma dinner, (a unique area under the African stars, where special tribal dining experiences are hosted). 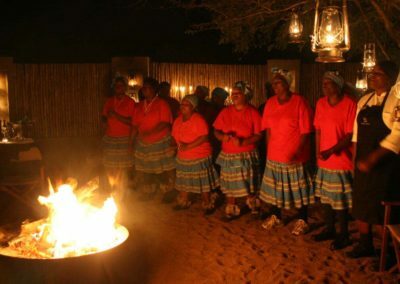 The camp’s very own African Ladies Choir will entertain with traditional music and dance…welcome to the BUSH! DAY 5:Breakfast at leisure, at the Lodge, both pre & post game drive. Early Morning Game Drive – Besides helping you to sight one of the Big 5 (elephant, lion, leopard, rhino, buffalo), our knowledgeable Rangers and Trackers will share their love and respect for the animals and the land.Upon your return, enjoy relaxing in your personal plunge pool or enjoy an activity of your choice included in your Divine Destination Collection experience. 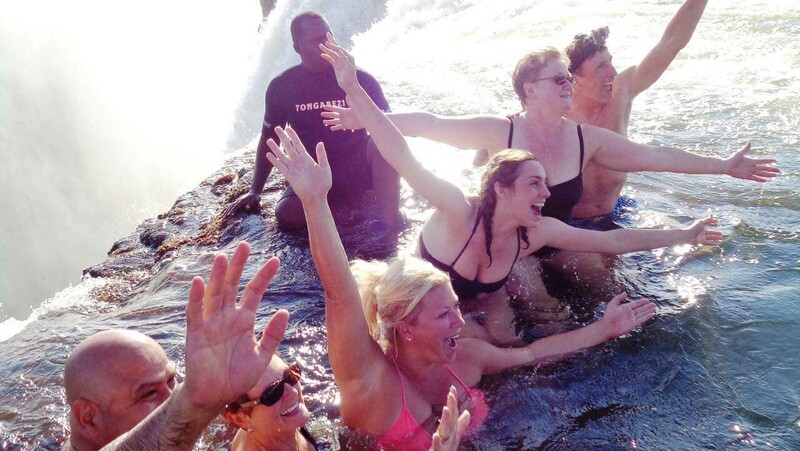 OPTIONAL ACTIVITIES: A yoga class on the outdoor yoga platform overlooking the bush (suitable for all levels), a 1 hr. photography session with the Londolozi Rangers, a Medicine Bush Walk or a Londolozi Village Walk. This afternoon, Tea Time on the Deck. Following tea, we’ll head out again for another game drive, and what could be more adventuresome, luxurious and spirited than enjoying a cocktail in the bush, or “sundowner” as it’s known in these parts. Next a private cocktail reception prior to our “Princess Alice” theme dinner on the Varty Deck. This styled dining experience celebrates the story of a young princess who partook in a famous hunt during the 1930s. DAY 6:Breakfast at leisure, at the Lodge, then we embark on our early morning game drive.Today, experience something you didn’t try yesterday from the hotel’s list of activities. Or, if you loved what you did yesterday, do it again.Tonight, under the stars, we cap off our stay at Londolozi with an extraordinary Divine surprise. All we can say is that you will be thunderstruck, and talking about the experience long after your South African journey is over. What is the mystery event? You know us, we won’t disappoint, and we’re not letting the cat out of the bag. Yet. DAY 7:Depart Londolozi for the Nelspruit airport. A gourmet boxed breakfast will be provided for the airport transfer. We will board our scheduled flight from Nelspruit (KMIA) to Livingstone, Zambia. 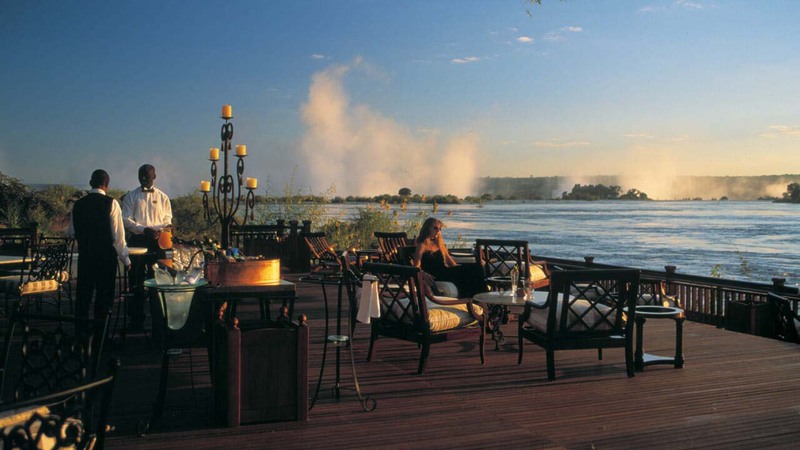 Upon arrival, we will be met and expedited through customs and immigration before being transferred privately to the iconic and luxurious Royal Livingstone Hotel.Tonight is a casual get-together after a busy travel day. Enjoy a private cocktail reception complete with hors d’oeuvres on the Lounge Terrace overlooking the lawns & mighty Zambezi River.Dinner at leisure and on your own. DAY 8:Breakfast at leisure in the hotel’s restaurant. 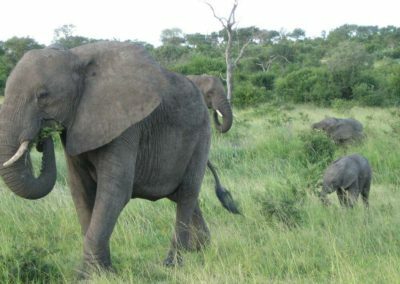 First up, experience the ultimate encounter with rescued and orphaned elephants during our exclusive elephant interaction.Lunch today is on your own.This afternoon you may wish to relax or you may want to continue your own personal exploration of the area.Tonight places you on the upper Zambezi River aboard 8-seater Safari boats. 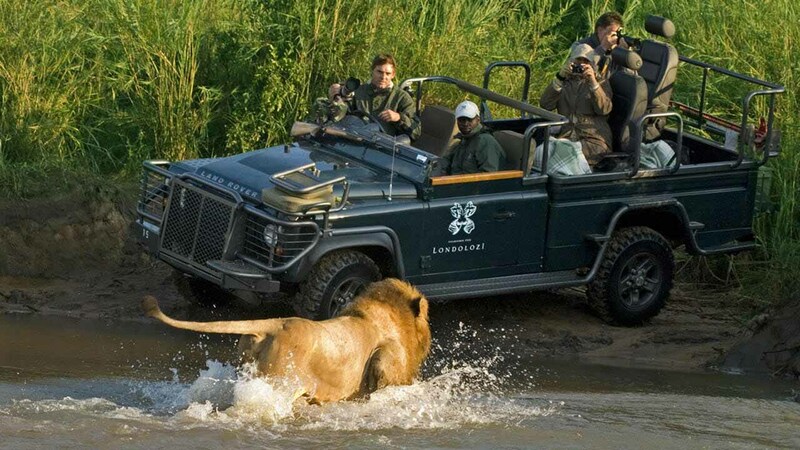 Join us with a G&T or sundowner in hand for a two-hour late afternoon’s game-viewing cruise. Dinner at leisure and on your own. 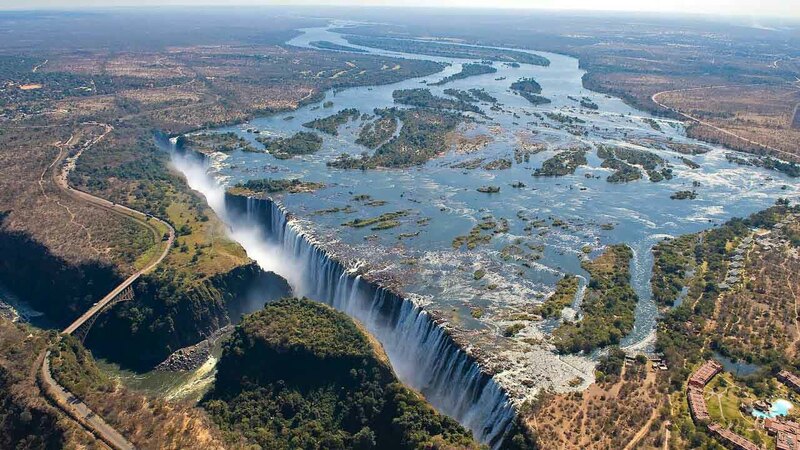 DAY 9:Breakfast at leisure, in the hotel restaurant.Today, a discovery of the Falls from the Zimbabwe side. The Divine Destination Collection will ensure you come away from this magical setting having learned and integrated this great spectacle through all lenses.Then we present a cultural experience you might only read about in National Geographic… visit a local Mukuni Village and meet the Chief. 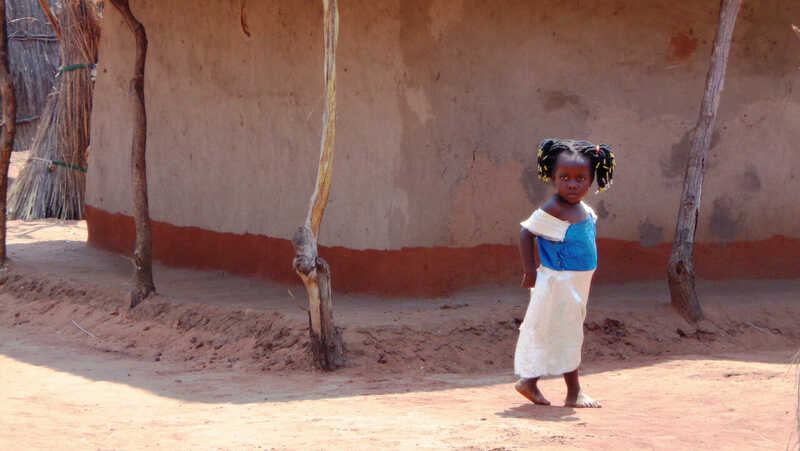 Here, you will see how people live, work and play in a local African Village.Your afternoon is at leisure. Tonight join us for a glorious a Farewell Colonial Evening on the Deck. 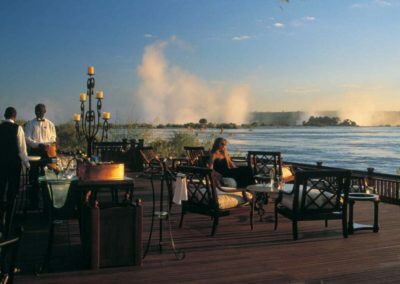 Enjoy magnificent sunset cocktails followed by a gourmet dinner overlooking the mighty Zambezi. DAY 10:Breakfast at leisure in the hotel restaurant. Check out of the hotel for your flight from Livingstone to the Johannesburg Airport. Depart Johannesburg for your flight home. (Note: when booking your international flights, please ensure your flight out of Johannesburg departs after 4:00 p.m.)Wheels up, heart open, mind expanded, senses satiated as we depart South Africa, a land for all seasons and the sacred motherland, cradle of humanity…. 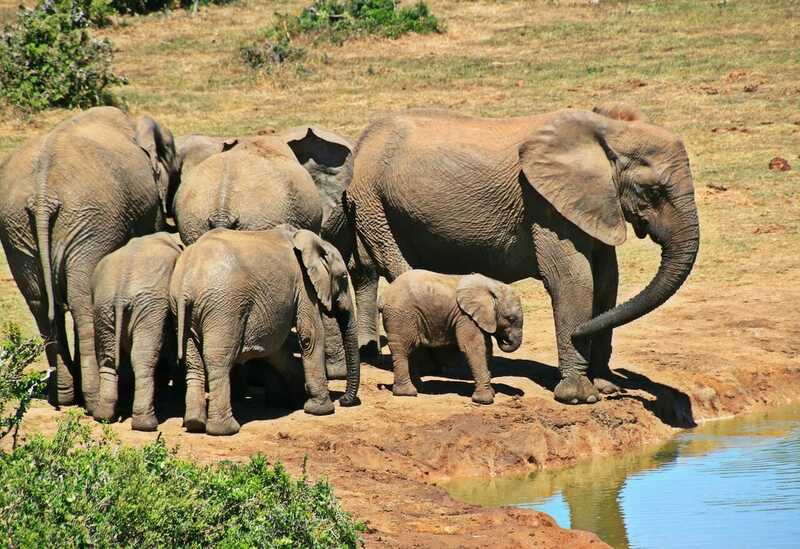 Interested in learning more about our private South Africa group trips? Click here to request a full itinerary.